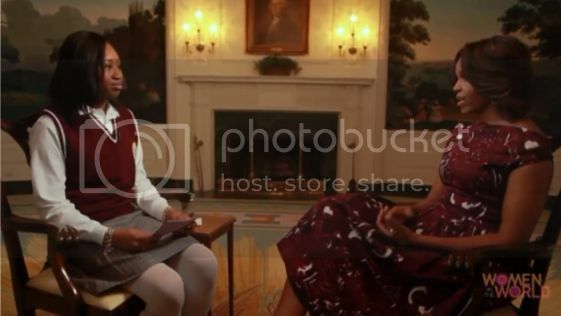 Nene Sy is a senior at the Young Women's Leadership School of East Harlem, and recently she got the chance of a lifetime: a sit down with First Lady Michelle Obama. During the interview, Michelle Obama gave the kind of advice we want all of the young women in our lives to hear. "Walk proud, work hard,and be confident," said Mrs. Obama.